In the last few months Big Brother has gotten really interested in Dr. Seuss books, asking to read the ones in our collection quite often. I was excited when I saw that this month's Virtual Book Club for Kids author was Dr. Seuss himself. 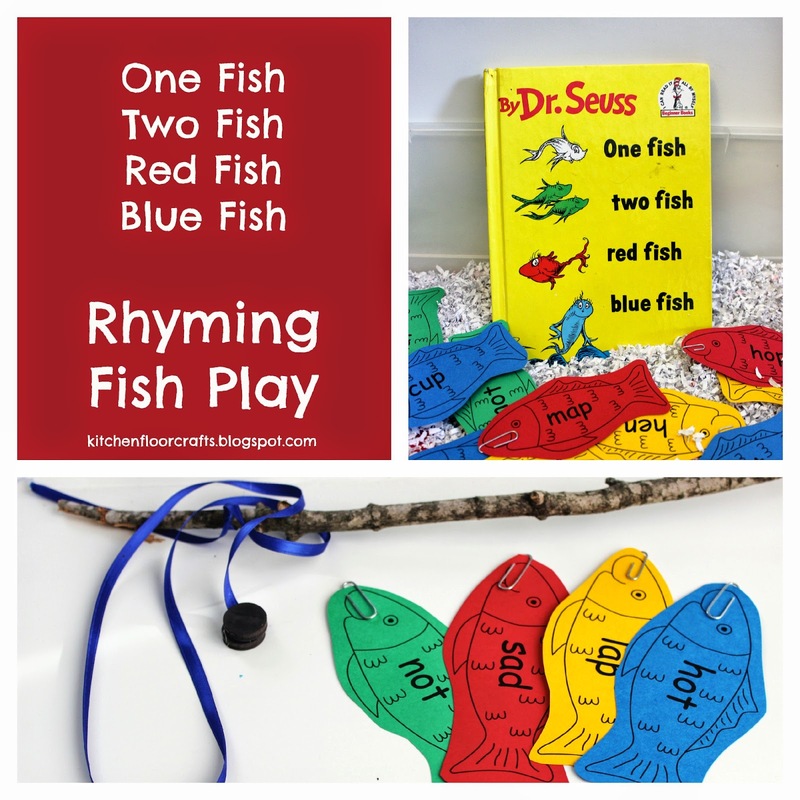 We decided to read One Fish, Two Fish, Red Fish, Blue Fish for our read this month. The book is full of silly rhymes. As an extension I decided to play with rhymes in connection with reading the book. 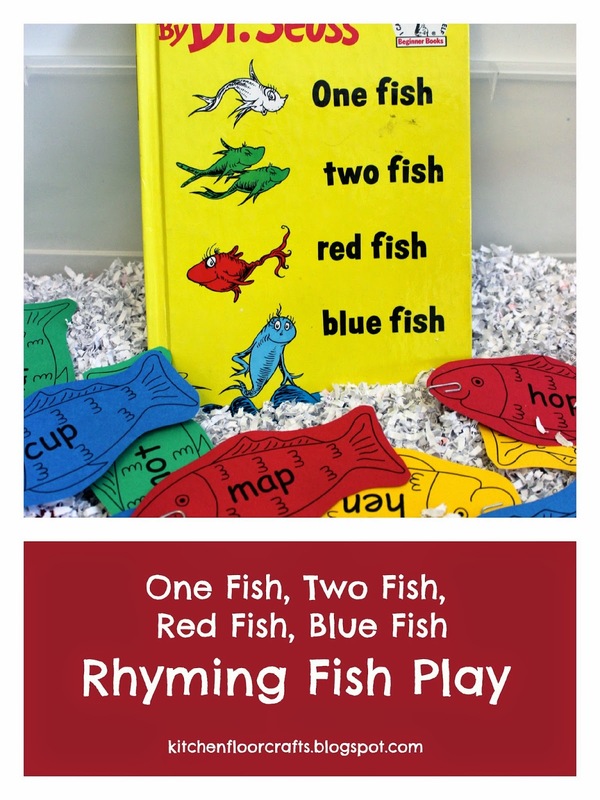 Learning to recognize rhymes is pivotal in early reading skills. For our game I kept our words simple, using three letter short vowel words. (Usually called CVC words.) As Big Brother is beginning to explore sounds in words, there was a chance he could sound out a few of the words if he wanted to try to do so. 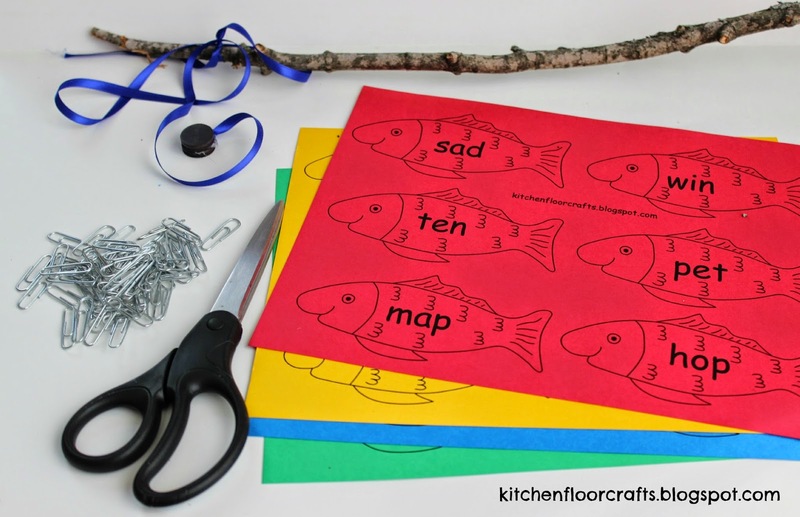 After printing out the fish I cut them out and added one paper clip to each fish. 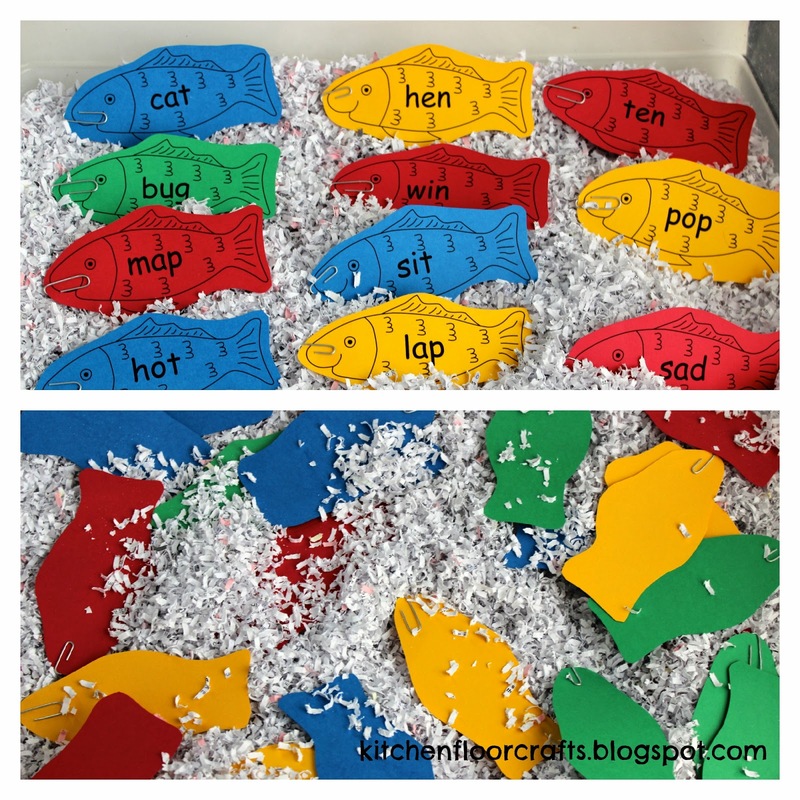 Afterwards we set our fish up in our sensory bin with several large handfuls of shredded paper. (I was pretty excited to score a bag full at work recently.) Other ideas of fillers could be rice, tissue paper, cotton balls, or even birdseed. It depends on how messy you want to get. But really the game is about the rhymes so even no filler works too. 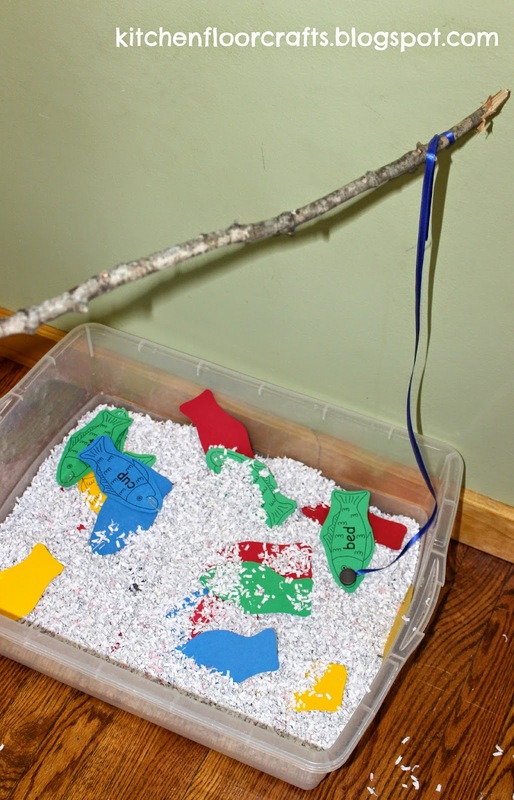 I set up the bin in the playroom and the boys started fishing. 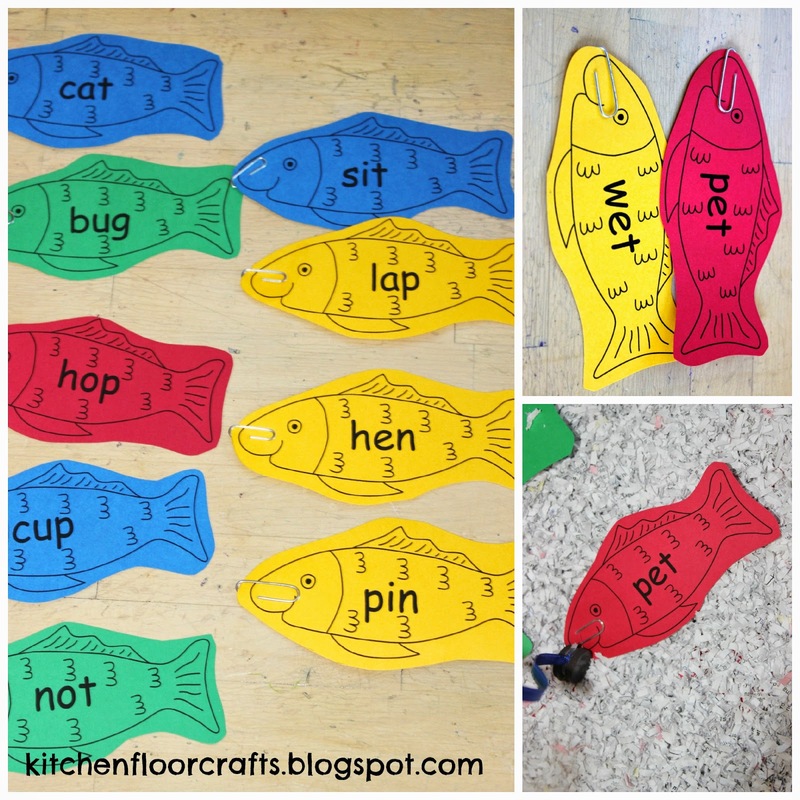 They would fish out a couple of fish and I would read the words on them aloud. Big Brother would listen to see if they rhymed. We also practiced sounding out a few words. If we didn't find a match right away we set them aside so we could match them up as other fish came out of the bin. It took us a little bit, but we finally got out first match with pet and wet. After that the others came along more quickly! 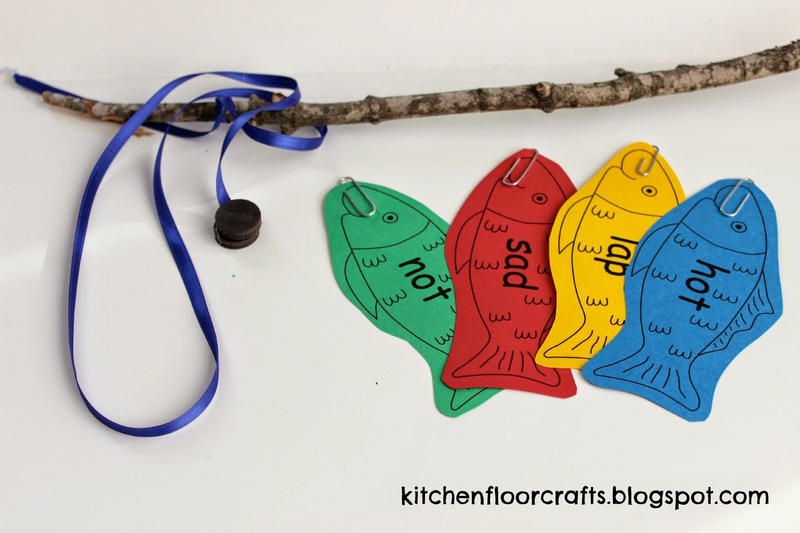 The boys loved the fishing and Big Brother eagerly took on the challenge of matching rhymes. He did have to think a little harder about some of the pairs and practice saying them after we had matched them. We did find eventually it was better to say the word we'd just fished out with each of the words on the table until we found the match. We'll happily play this game again another day. 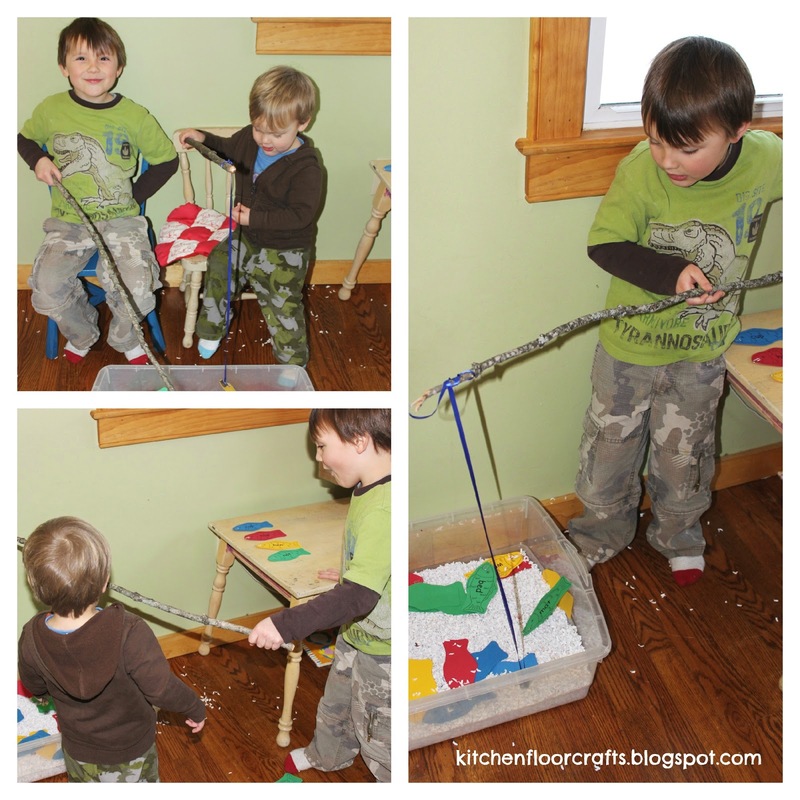 We love combining learning while playing! These are great! 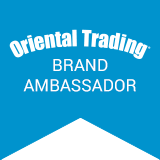 Thanks for your hard work!